The Bullbuckers will be taking over downtown Wilmington for New Years Weekend! On the EVE of New Years Eve - (Friday, Dec 30) we'll be performing upstairs at the World Cafe Live, the site of our CD Release show earlier this year. 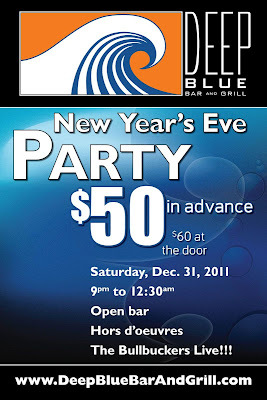 Then on Saturday for New Years Eve join us as we land at Deep Blue for THE party to ring in 2012.